Lean Six Sigma Green Belt Certification Training in Riyadh, Saudi Arabia, is the second stage of Lean Six Sigma Masters Program. It teaches you how to use the Minitab tool for statistical analysis, core principles of Lean six sigma, and how to implement quality applications and projects. Aligned with the IASSC exam, the Lean Six Sigma Green Belt Certification Training in Riyadh provides you with the skills that help your organization improve continuously, by integrating DMAIC and lean methodologies using real-life examples and case studies. What are the Lean Six Sigma Green Belt Certification course objectives? The Lean Six Sigma Green Belt Certification Training in Riyadh is aimed to help you pass the Lean Six Sigma Green Belt Certification exam in your first attempt. This course gives you a clear overview of Six Sigma and organizational goals while teaching you how to measure the current performance to find the issues and identify projects, how to apply DMAIC (Define, Measure, Analyze, Improve, Control) methodology, and how to implement and generate solutions that are in line with the real-life situations and industry case studies. This training is in line with certification exams of IASSC and ASQ - two of the leading Six Sigma Green Belt Certification institutions. Lead and implement Lean Six Sigma projects in your organization. Determine the possible actions required for the improvement of performance of variations in the improvement phase. Recognize an improvement project in the Define phase. Conduct hypothesis testing and data analysis in the Analyze phase. In the control phase, you can explain efficient operating levels for both outputs and inputs. Use DFSS tools, like Failure Mode and Effects Analysis (FMEA), Risk Priority Number (RPN), and Quality Function Deployment (QFD). Who Should take this Lean Six Sigma Green Belt certification training course in Riyadh? Lean Six Sigma certified professionals are some of the most desired professionals in the world since they are capable of driving business solutions with a basic understanding of business and problem-solving capabilities. Lean Six Sigma Green Belt certification is crucial for the businesses who inspire their employees to undertake quality projects and ensure efficiency in all the industry and business processes. What are the jobs that require Lean Six Sigma Green Belt Certified professionals in Riyadh? Today, the organizations are always on the look for continuous improvement, which is why they tend to look out for professionals who have a basic idea about the business and great problem-solving abilities. Lean Six Sigma certification enables you to lead quality management projects, and explicate data statistically and strategically by deploying risk management, process mapping, and benchmarks setting. Contrary to what people believe the certification is widespread across various multi-level organizations. How will I become a Lean Six Sigma Certified professional in Riyadh? IASSC[SR2]conducts a Lean Six Sigma Green Belt Certification examination, which you can appear to get certified in Lean Six Sigma Green Belt. You can visit http://www.iassc.org/six-sigma-certification/green-belt-certification/ for more details on the exam. Are there any prerequisites for Lean Six Sigma Green Belt Certification in Riyadh? No, there are no prerequisites to opt for Lean Six Sigma Green Belt Certification Training in Riyadh. You need to complete one simulation test and one project with a minimum score of 60%. You need to go through 85% of the course. Also, you need to complete one simulation test and one project scoring a minimum of 60%. No, you need to pay the examination fees separately, which is not included in the course fee. What are the certifications that I will receive after completing the training? Upon the successful completion of the Lean Six Sigma Green Belt Certification training in Riyadh, you will be awarded a certificate for professional attainment and a course completion certificate by Simplilearn. You need to pay $295 for the IASSC Certified Lean Six Sigma Green Belt Examination. Is this Lean Six Sigma Green Belt Certification course provided by Simplilearn aligned to any accrediting body? Simplilearn’s Six Sigma Green Belt certification is aligned with certification exams of IASSC and ASQ - two fo the leading Six Sigma Green Belt Certification institutions. The first step is to purchase an exam voucher from - https://orders.iassc.org/ProductDetails.asp?ProductCode=ODWB-GBV. Read and follow the instructions provided in the voucher and register to the testing environment. Also, choose a time and date for the exam. On the provided date and time log in to the testing platform at least 15 minutes before your exam time. How long does it take to receive my Six Sigma Green Belt certification? You will get the results of the exam l within 1-2 days of the completion of the exam via an email. If you successfully complete the IASSC certification exam will receive the certification directly from IASSC™. You cannot appear for the IASSC exams more than once within two weeks. Also, you cannot appear the exam more than three times in three months. The IASSC exam voucher that you purchase is only valid for a single time, which means if you fail the exam, you will have to buy another exam voucher to retake the test. The cost of taking the exam again is $100. Should I have Minitab installed before I begin the Lean Six Sigma Green Belt Certification Training course in Riyadh? No, It is not mandatory to have Minitab installed to start your Lean Six Sigma Green Belt certification course in Riyadh. Yes. you will be provided with a toolkit in the course package that includes Excel sheet and various tools that can be used in the context of Lean Six Sigma. ASQ Body of Knowledge is focused on the areas outside of what the industry considers standard knowledge requirements. These areas comprise of areas, like DFSS and Enterprise-Wide Deployment. However, the DMAIC components of both the BOKs are identical. 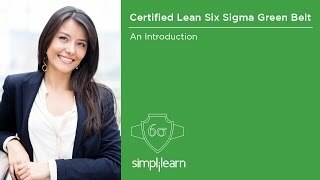 How is Lean Six Sigma Green Belt (LSSGB) certification different from Simplilearn’s Certified Six Sigma Green Belt? The Lean Six Sigma Green Belt certification training course focuses on the Lean Six Sigma concepts which are aligned to the IASSC BOK. On the other hand, Simplilearn’s Certified Six Sigma Green Belt focuses on Six Sigma concepts and is aligned to the ASQ BOK. No, you can complete the Lean Six Sigma Green Belt Certification training in Riyadh without a project. Once you complete the LSSGB course from Simplilearn, you will receive a course completion certificate associated with LSSGB. 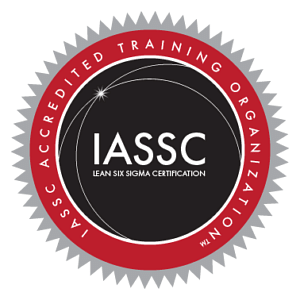 You can only get the IASSC certification if you appear for the IASSC Certified Lean Six Sigma Green Belt exam and score a minimum of 580 points out of the total 750 points. All our live classroom trainers are Green and Black Belt certified professionals, having more than 10 years of experience in implementing Quality Management in the real world. For standalone online classrooms, the exam cost is directly included in the course. However, it is not included in the self-paced course and it is not included if you are from India or Indian subcontinent. Yes, You are provided complete assistance in the exam booking process and are helped to find the nearest location for your exam. How many questions do I need to answer in the Lean Six Sigma Green Belt certification exam? A Lean Six Sigma certified trainer with more than 10 years of experience conducts all the classes via live online streaming. The online training classes also include interactive sessions that inspire you to participate in discussions and ask questions during class time. However, we do provide recordings of all the session you attend for future reference. You’ll need speakers or headphones to hear instructions. Apart from that, you will need a microphone to talk to others. If you have any doubts regarding the Lean Six Sigma Green Belt Certification Training in Riyadh or if you want to learn more about the training program, you can contact us using the form present on the right side of any page on the Simplilearn website. You can also select the Live Chat link and have a conversation with our customer service representatives who can help you with more details. All the trainers in Simplilearn are subject matter industry experts with at least 10-12 years of experience. They go through a rigorous selection process that includes technical evaluation, profile screening, and a training demo before they are selected. Also, we ensure that trainers with high alumni ratings are only chosen to train. We aim to get you certified in your first attempt, and to help with that we have a dedicated team of subject matter experts who help you throughout the program. They make sure that the course path is being followed by each student and also enrich your learning experience. The 24/7 support services provided by us include email, chat, and calls. Also, we have a dedicated team providing on-demand assistance through community forums. In addition, you will have lifetime access to the community forum, even after you complete the course. Yes. You do have access to money back guarantee for many of our training programs. Refer to our Refund Policy and submit refund requests via our Help and Support portal for more information. The Refund Process: If in case, you do not pass the exam in the first attempt, Simplilearn will refund the full amount of the course. For that, you must initiate a request through the Help and Support Online tab present on the website. Then you will have to submit a copy of the scorecard with the date of your completion of classroom training. Once we receive everything, the refund of the course price will reach you within 30 days. You can refer to our Refund Policy and submit refund requests via our Help and Support portal for more information on it. Our Lean Six Sigma Green Belt certification program is designed in a way that it will help you clear the exams in the first attempt. With a Global Learning Framework and hands-on learning approach, the training provides you the confidence to clear the exam while making sure that you will remember everything that is taught to you in the future as well. What if I miss a Lean Six Sigma Green Belt Certification class? You have access to the recordings of each class, which you can view before attending the next session to make up for your absence.